*UPDATED* Please scroll to the bottom to read the response I received from the hotel regarding my visit. 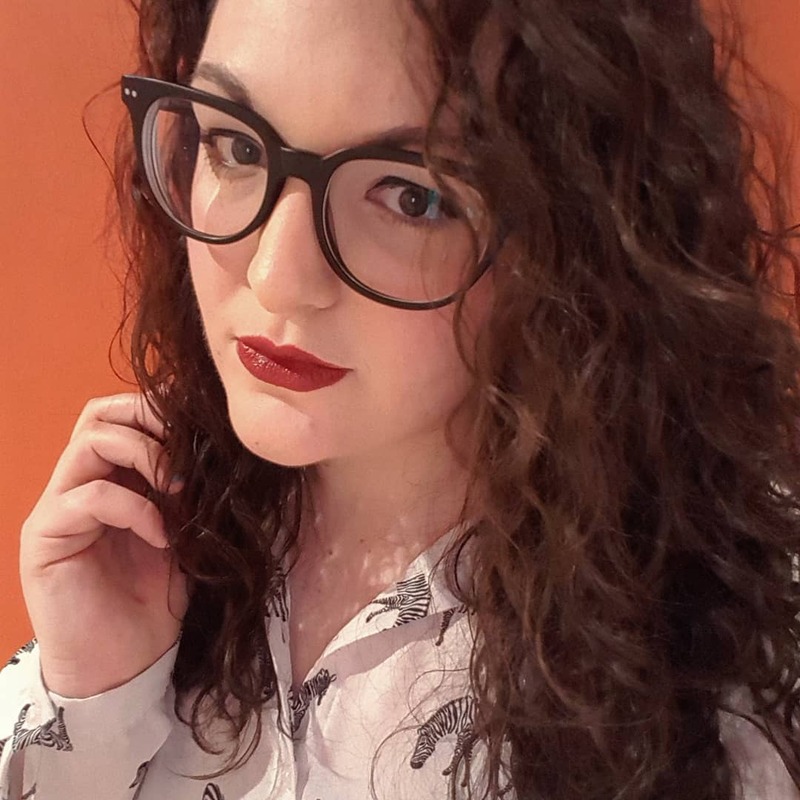 It really saddens me to be writing my first negative review of somewhere but this was an experience that needs sharing – unfortunately for all the wrong reasons. One of my very good friends was given a Groupon voucher to have a champagne afternoon tea for 2 at this hotel and very kindly invited both me and another friend to join us (with the third person paying half price). 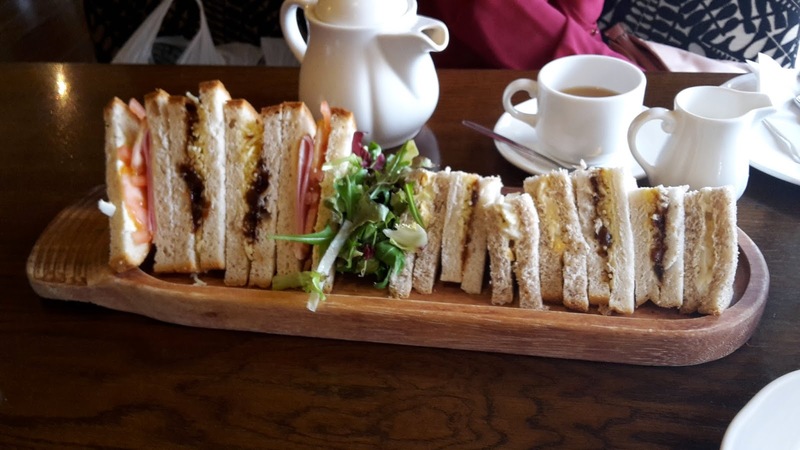 As I’ve had a few afternoon teas in the past, all of which I’ve really enjoyed, this seemed like it would be an absolute treat and I was really excited. When we arrived, it seemed as though we’d just interrupted an argument between two staff members and we were hastily shown to our table. 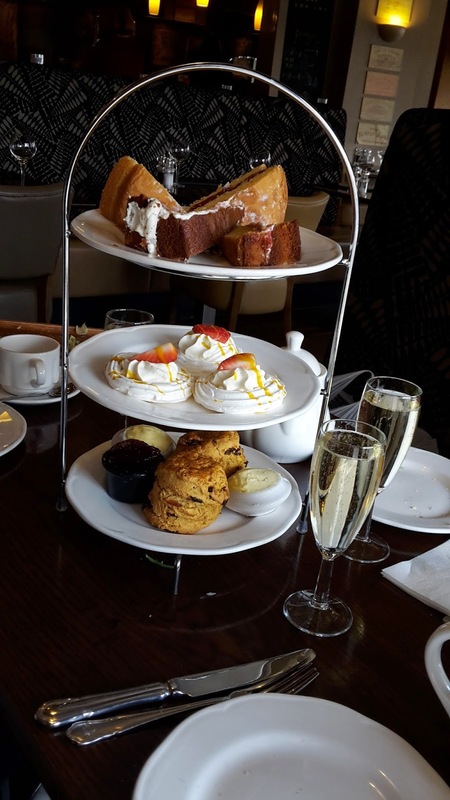 As we were having the champagne afternoon tea, we were entitled to both tea and a glass of bubbly – we opted to have tea first then the champagne later with the food. One of my friends doesn’t drink tea but wasn’t offered another alternative – she was left to wait for the champagne. Having rung in advance, they knew that one of the afternoon teas would be gluten free which they said was fine (there were signs up everywhere about letting staff know about allergies and intolerances so I assumed that it would be well-catered for). It really surprised me that both the gluten free and normal food were all served within touching distance as for someone who is a celiac and has an allergy (I’m just intolerant to wheat), they would be unable to eat the food. Our sandwiches were the first to arrive and were the first to disappoint. The gluten free choice was fine, with the fillings including ham and tomato and cheese and pickle. Not as much variation as you’d expect but for a gluten free option, I was relatively satisfied. The other two had a significantly smaller portion (3 small triangles each), with 4 cheese and pickle and 2 egg mayo to pick from between them. The cheap shop bought bread and lack of choice was really disappointing – the whole point of an afternoon tea is to have a selection. The cakes were also a cheap disappointment. They arrived separately and I was told that they didn’t do gluten free scones so I had two pieces of sponge cake instead. My friends had a slice of sponge cake, a scone and we all had a meringue nest (shop bought again) with a dollop of sweetened cream and drizzled with an unidentifiable luminous orange sauce. After trying the (shop bought and relatively cheap and nasty) sponge cake, I seemed to have gotten the better option as the scones were rock hard, much like the creamy substance that came with them – we assumed it was cream but it the top of it had gone funny, like it had been left uncovered for too long. By this point, we were ready to complain and would have done had any staff been willing to make eye contact. For over an hour we were ignored with the plates left on the table, without being offered any more drinks. When the waitress came away to take the cake stand (which they clearly just needed to reuse for another table as she took away nothing else) we were brought over a second pot of green tea, but my friend who had only had a glass of champagne was left thirsty as she didn’t get chance to order an alternative. This is the image used on Groupon to advertise the deal. I appreciate that stock photography may have been used (though I assume they wouldn't put their branding onto stock imagery), but this is in no way representative of what we got. All in all, it was a pretty shoddy experience and it’s such a shame that it’s the only afternoon tea available on Groupon as it would seem like the ideal present. If anyone is thinking about going to Cosmopolitan in Leeds, I’d advise you not to bother. 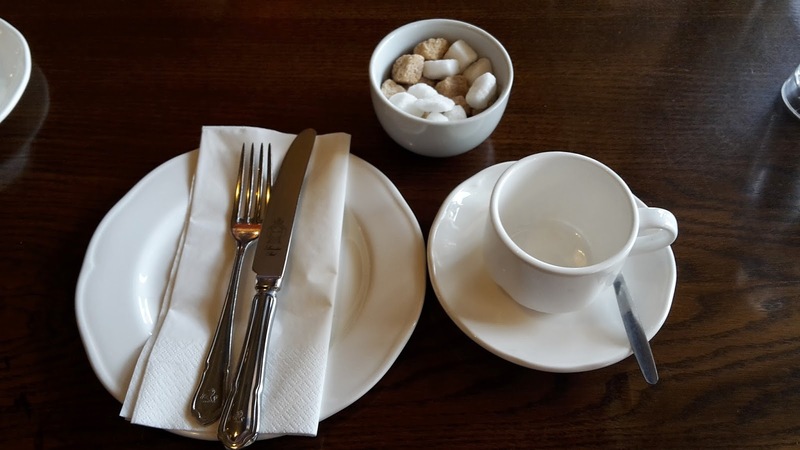 Having spent £16 on an afternoon tea at a 4* central London hotel, I assumed that a relatively nice looking hotel in Leeds which charges (without a voucher) £23 per person would be more than up to scratch, but they really weren’t. I will be emailing this review, plus my TripAdvisor review to the management staff and I will update it with their response. 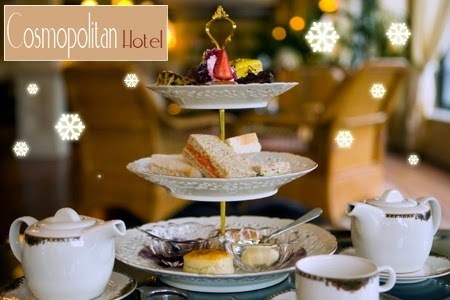 Can you recommend anywhere for afternoon tea in Leeds? I’d love to go somewhere better! Thank you for your e-mail and I am disappointed that your afternoon tea with us was not an enjoyable one. It is unfortunate that you have not allowed us the opportunity to address your complaint either on the day, with one of our Duty Managers or indeed given us the opportunity to contact you before you put comments on social media which is clearly your prerogative. In view that you have already put this on multiple media sites clearly there is little the hotel can do other than apologise that your experience with us was so poor which is so unlike our typical feedback. I will address the points you have raised with both the Restaurant Manager and Head Chef to ensure that lessons are learnt as a result of your feedback. We have served over 2,000 afternoon teas on Groupon campaigns and the comments have, until this point, been excellent. As you have pointed out in your e-mail, we served over 100 diners on Sunday both afternoon tea and lunch and sadly your experience is the only negative feedback on the day, which is reassuring in one way but obviously very disappointing that your personal experience was quite the contrary. We do take customer feedback very seriously and are constantly trying to improve both the service we give and the food we serve by taking all feedback both positive and negative on board. Please note that not once does he say that he is sorry for our experience, there is no refund offered and though he states that I'm the first person to complain about the afternoon tea, this is a lie, as there are multiple negative reviews on TripAdvisor. Overall, I think this is a crap excuse for customer service and though I appreciate his point that we didn't complain on the day, after we'd been ignored for such a long time, we no longer felt comfortable. It's such a shame as it's a genuinely nice venue, just not one that I'd ever go back to and one that I'd warn others against visiting! Very disappointing experience, won't be going back! Yep :( Disappointing when it was for Gemma's birthday too! Wow this sounds shocking and very disappointing! :/ I do always wonder with Groupon deals whether you get what you would be paying for, or a lesser service.. The food does look really unappealing and as you say, 'shop bought'. I hope you get a reply from their management team, you deserve any monies spent back and a very very good apology.